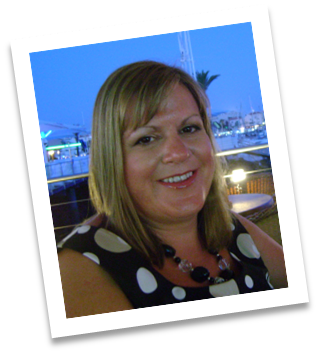 Hello, my name's is Vanessa Hodgson and I live in Northallerton, North Yorkshire with my Husband Richard and my Scottish terrier Hamish. I've been crafting since I was a child, mainly drawing, painting and sewing. I first got into paper crafting 3 years ago, but only discovered Clarity Stamps two years ago when I turned onto Create and Craft one Saturday to find Barbara doing a lesson. 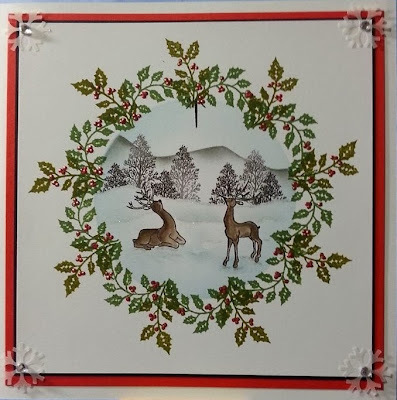 I was amazed how she could build up a scene using the stamps, a brayer and some scrap paper, but didn’t really get brave enough to try using them until I had a morning lesson with Barbara at the Harrogate Papercraft show. I loved it and couldn’t believe it had taken me so long to try it. I've since learnt many new techniques and ideas both from all of Barbara’s lessons on Create and Craft and the DVD’s which I think are a great investment. I've even got into using the Gelli Plate with lots and lots of messy fun resulting in some lovely prints. I've really enjoyed sharing my creations on the Clarity FaceBook page and it's such a thrill to know what other crafters think of your work and to see what they are doing as well. I'm really glad that I finally got the courage to enter the Clarity Stamp Challenge and was literally grinning from ear to ear when I discovered that I had made the top 5, it really did make my day. Thank you very much to Sam from the design team for encouraging me to enter in the first place. I'm looking forward to entering the next challenge and who knows maybe even winning that £50 voucher! 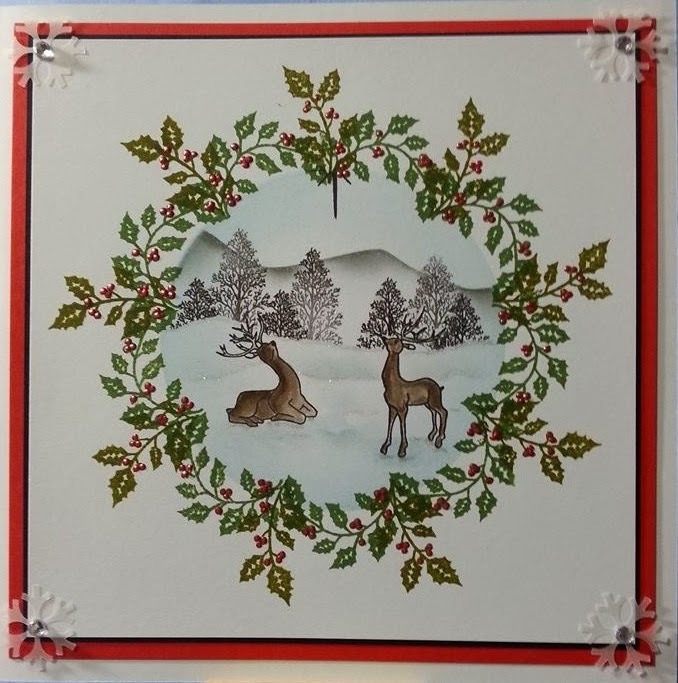 Here's Vanessa's winter scene using the wonderful holly sprig, sitting and standing deer and tree silhouette. A perfect reminder of those crisp winter days in the snow.